“Oh, um, we made a bet before we came here.” She sipped her drink. Five minutes later, Jonathan helped Angie with her black velvet cape. They refilled their now empty Solo cups and followed a group of about ten people out the back door, down the porch steps, and onto dying grass, already wet with evening dew. While the other kids ran to stay at the front of the pack in the deep darkness of New York night, Angie and Jonathan stayed to the back, their arms barely touching as they walked down a sidewalk covered in autumn leaves. She groaned and kept walking. At the sound of Max’s voice, Jonathan looked ahead of them where he saw their little crowd circled around the well-lit entrance to the McMurray Farm cornfield on the edge of campus. Two frat boys dressed as goblins guarded either side, and tiki torches cast an orange glow on the faces of their companions. As they neared, Jonathan noticed Max and Tanya were still attached at the hip, which was irreconcilable with basic reason. “Live in fear, those who enter here!” shouted one of the goblins, while the other extended his black-gloved hand in welcome. “Ooooo …” Angie grabbed onto Jonathan’s hand, and neither of them let go. 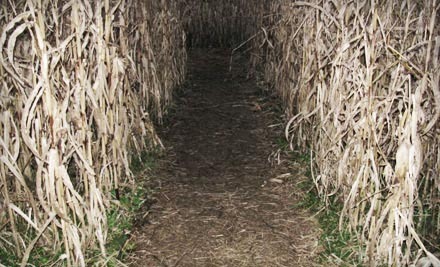 She laughed just as a kid clad all in black jumped out of the cornstalks and screamed at them. Jonathan and Angie weren’t fazed. “Okay, I misspoke. I don’t always fit in with other girls.” She looked at him and lifted her eyebrows. “And that’s why you went after me.” He tried to cover his comment with his Solo cup. He laughed. When had he ever felt this good? In all his life, when had Jonathan Crane ever felt quite like this? Angie laughed, too, and she put her arm around his lower back as they walked together deeper into the darkened maze of corn-filled horrors. Jonathan loved when she screamed and held onto him tighter. He loved the way her black hair smelled and the way her little hands squeezed his when she was afraid. In all honesty, he could have stayed in that cornfield with her forever, just to be strong for her, to protect her. The ride ended too soon, though, and they were coughed out onto the edges of Tarrytown Forest. A fog had settled, and without a moon, the colors were muted. Tree shadows mimicked wild beasts, and Jonathan could sense trepidation in all of them at going any further. “Guess his buzz wore off,” Angie whispered, which sent Jonathan into his own buzzed giggles. “Come on.” When no one was paying attention, she dropped her Solo cup and pulled him further beneath tree cover. Deeper they went into the darkness, with only her hand to guide him. His Solo cup hit the underbrush as he leaned her against a tree and pressed his lips against hers. Surely his face would be covered in red lipstick, but it didn’t matter. 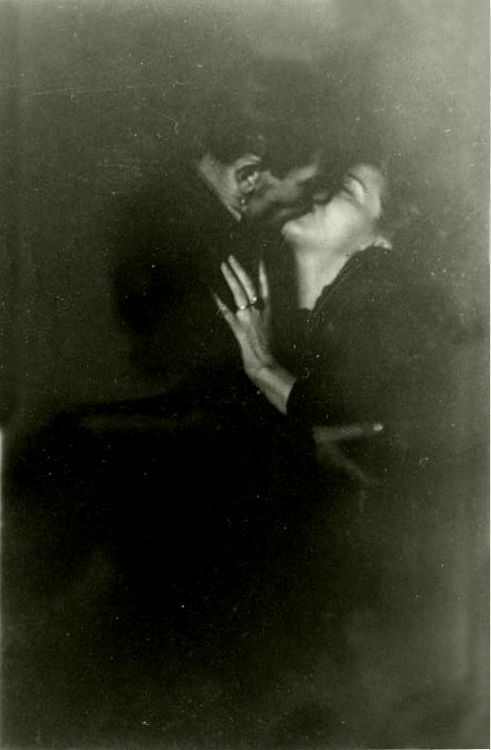 As the warmth of their lips melded, he felt dizzy. From her or from the booze, Jonathan didn’t care. He was hungry for her touch, and he noticed her mouth tasted of cinnamon. Her body was soft and warm against his palms, and when he moved his lips to the top of her corset, she didn’t stop him. Instead, she moaned his name and held onto his head, urging him to delve deeper into her skin. Her fingers pulled on his hair until his lips were back within her reach, and they kissed and kissed—for how long, who knew? But when they finally stopped, they were alone, their group, gone. They slumped down together against what would forever be “their” tree, and Angie dug in her small purse. She pulled out an unfamiliar pack of cigarettes. “Clove?” she said through gasps. She laughed and handed him a smoke. “I don’t know. This way.” He pointed. “Sure. My captain, my captain.” She gave him a salute. He took her hand in his as they continued to smoke their pumpkin-flavored cigarettes while walking through the forest toward what they imagined had to be street lights. Jonathan dropped her hand. “No.” The word was barely a whisper.